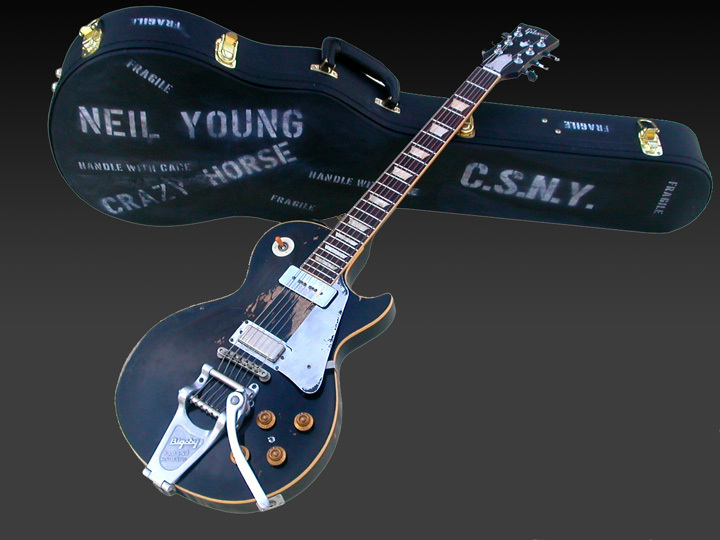 iconic guitar.com: Neil Young - "Old Black"
Neil Young - "Old Black"
This is Young's primary electric guitar and is featured on Rust Never Sleeps and most other albums. Old Black got its name from a purely amateur paintjob applied to the originally-gold body of the instrument, sometime before Neil acquired the guitar in the late 1960s. In 1972, a mini-humbucker pickup from a Gibson Firebird guitar was installed into the lead/treble position, replacing a P-90 as standard on Les Paul guitars from that era. This pickup, severely microphonic, is considered a crucial component of Neil's sound. 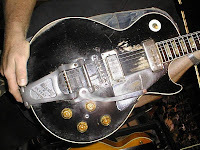 A Bigsby vibrato tailpiece was installed as early as 1969 on the guitar, and can be heard clearly during the opening of "Cowgirl in the Sand" from Everybody Knows This Is Nowhere. 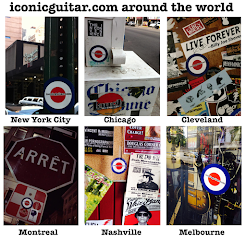 This guitar also features a mini-switch that is used to send the signal from the mini-humbucker direct to the amp, without going through the volume or tone controls. Young acquired Old Black from Jim Messina, swapping one of his Gretsches for it in 1969 while Messina was assisting Young on his first solo album. Messina, who played briefly in Buffalo Springfield and produced the band's final album, "Last Time Around," still has the Gretsch in his possession. Labels: Gibson Les Paul, Neil Young - "Old Black"